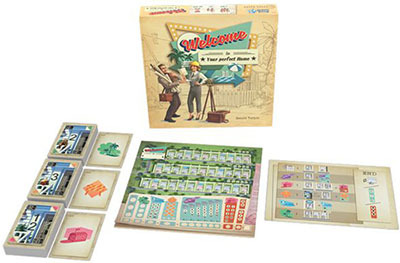 Welcome To... plays like a roll-and-write dice game in which you mark results on a score-sheet...but without dice. Instead you flip cards from three piles to make three different action sets with both a house number and a corresponding action from which everyone chooses one. You use the number to fill in a house on your street in numerical order. Then you take the action to increase the point value of estates you build or score points at the end for building parks and pools. Players also have the option of taking actions to alter or duplicate their house numbers. And everyone is racing to be the first to complete public goals. There's lots to do and many paths to becoming the best suburban architect in Welcome To...! 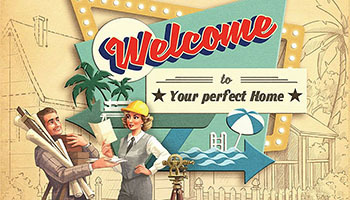 This variant allows players to play a game of Welcome To while trying to achieve their best score.